Where do we stop and they begin? Machines are everywhere, omnipresent and unavoidable. They fly planes, they regulate nuclear plants, they design electric circuits, they bottle water and they play Chess and Jeopardy! 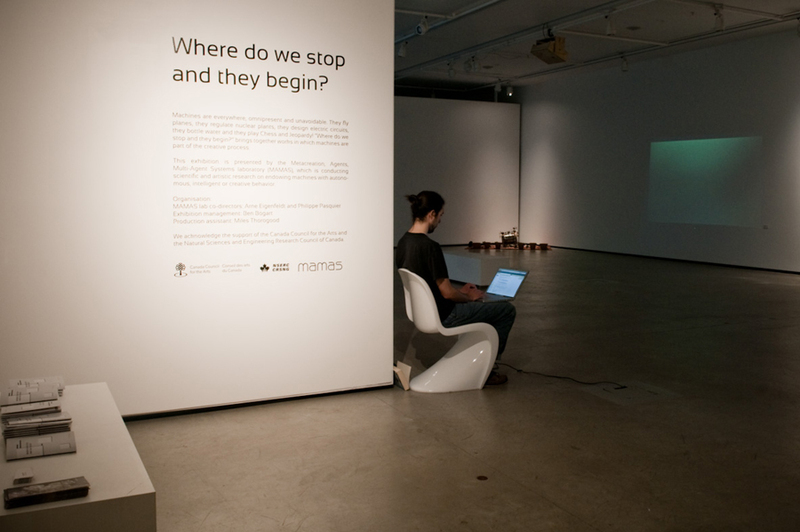 “Where do we stop and they begin?”ï¿½ brings together works in which machines are part of the creative process. 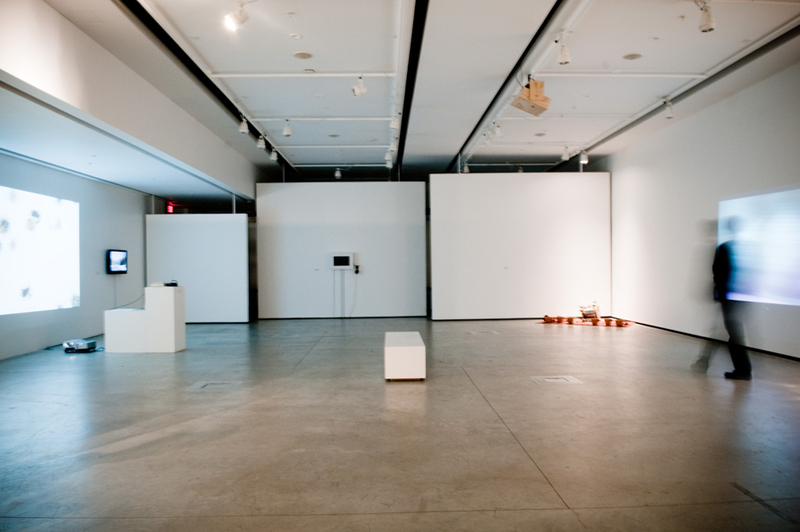 This exhibition is presented by the Metacreation, Agents, Multi-Agent Systems laboratory (MAMAS), which is conducting scientific and artistic research on endowing machines with autonomous, intelligent or creative behaviour.